From Mansion House and MPs to pizza, pitches and ping-pong, Welcome Week has been truly memorable. Wayra UK welcomed its 2018 cohort with an action-packed introduction to the Wayra way of life. The week has seen 12 new start-ups from across the globe, settling into the new office space and having the opportunity to hone entrepreneurial skills. The exciting new cohort features start-ups which are harnessing tech to solve business problems in a range of industries, from security to communication and photography to sports sponsorship. 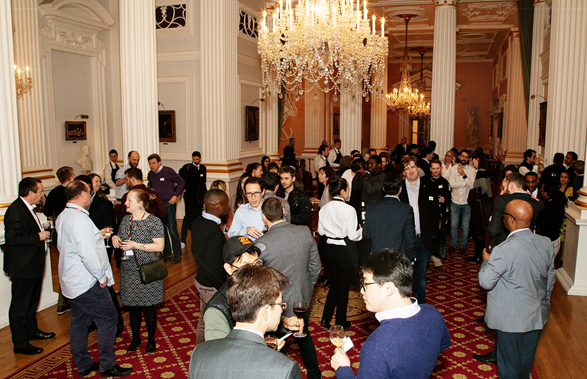 Our Director Gary Stewart shared our vision, it was then followed by a series of coaching and advisory sessions with leaders from Telefónica, industry experts and Wayra alumni before progressing into our VIP event at Mansion House. The week continued with talks from senior members of the Wayra team, sessions with fellow entrepreneurs and venture capitalists and the odd social event!